New Veterinarian in New Ulm! New Member: Professional Credit Analysts of MN! 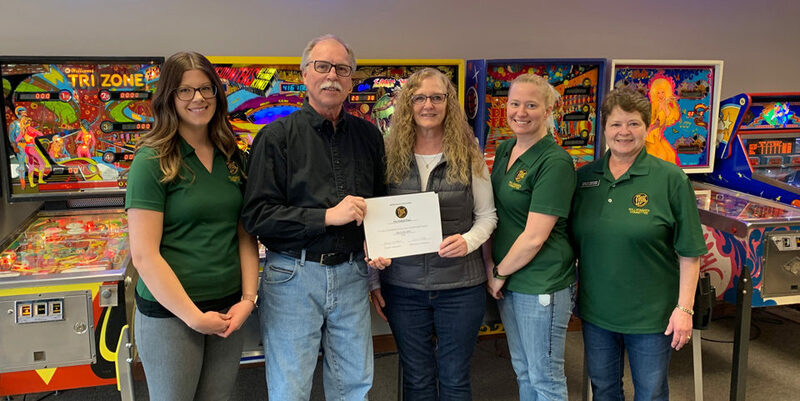 The Willkommen Committee recently stopped at SpecSys, Inc. to welcome them as new members of the New Ulm Area Chamber of Commerce! Located at 2120 N Broadway, SpecSys is an engineering and manufacturing company. The company began in 1997 in Montevideo and opened the New Ulm location 7 years ago. The New Ulm plant employs about 50 people, and they have been manufacturing military projects exclusively for the past year. Prior to that they manufactured projects for Caterpillar for 3 years. SpecSys has been working more with local high schools. They want local students to know the type of opportunities available right here in New Ulm. Welcome, SpecSys, Inc.! 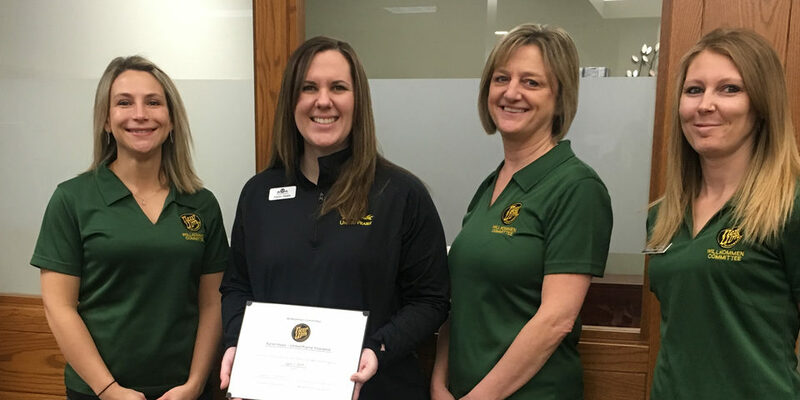 In the photo are: Audra Shaneman, Chamber President & CEO; Katie Nosbush, United Prairie Bank; Kristine Wald and Andy Robinson, SpecSys; and Jessica Janni, Bank Midwest.